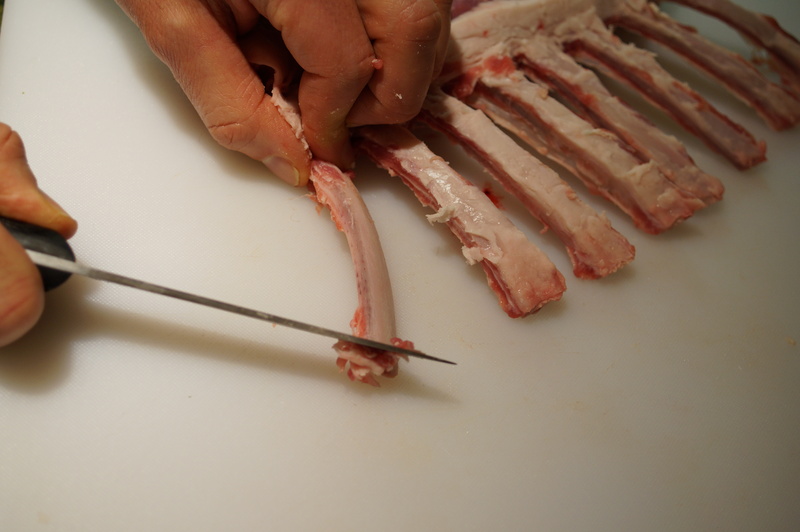 The term “French-cut” or “Frenching” a rack of meat refers to cleaning the rib bones that protrude from the meat base. The process removes the sinew and muscle tissue that exists between the bones and then scrapes them clean. Note: This method can be used for pork, lamb or beef. A boning knife with a heavy handle and thick blade is recommended. 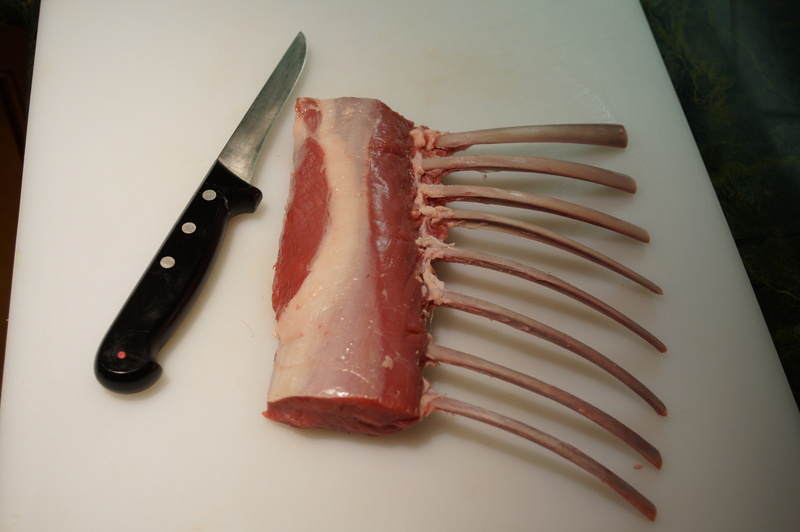 To begin, lay the rack down flat so the bones are resting on a cutting board and the meat is facing up. Make an incision where the apron of fat meets the eye of meat. 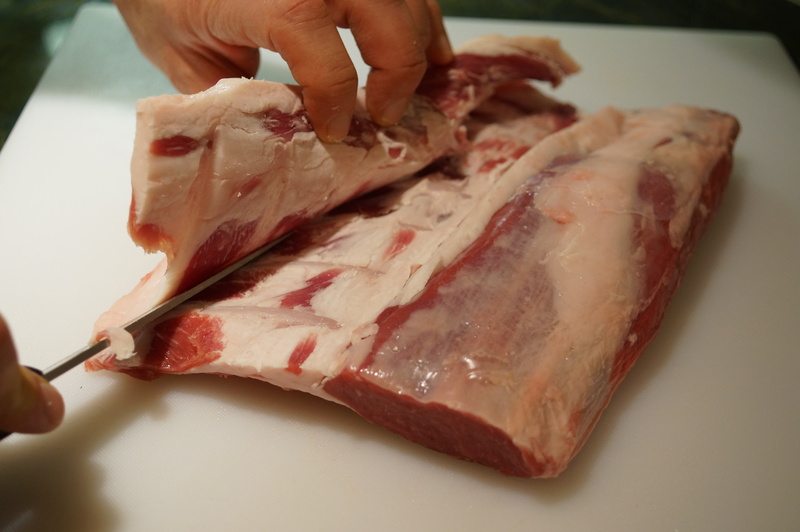 The cut should run horizontal to the meat and vertical to the bones. It should be deep enough to expose the bones when the layer of fat is pulled back. Turn the rack over and make the same cut on the opposite side. This will score the connective membrane on the back. 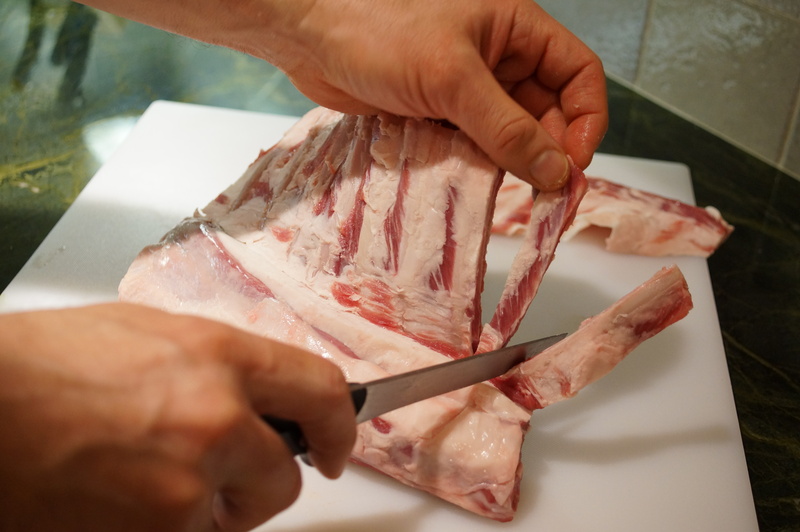 Flip the rack back over and begin peeling the apron of fat back while slicing through the connective tissue as you go. Continue until the fat is completely removed from the rack. Position the rack so the bones are pointing straight up. Run the knife blade down both sides of each bone. This will free the strips of meat and fatty tissue in between. Be careful not to cut into the eye of meat. Remove the strips by making a horizontal cut where they join the top of the meat. 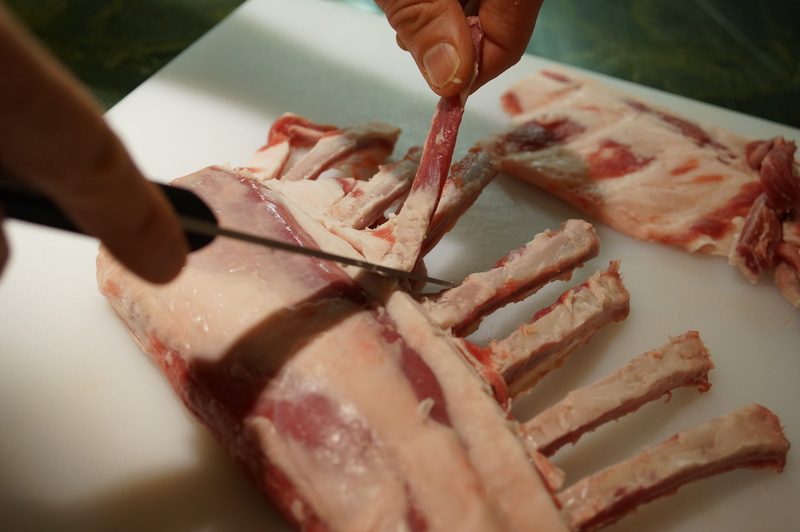 Use the knife blade to scrape the fat and sinew off of each bone. Begin where the bone is connected to the meat. Scrape toward the end of the bone. Continue scraping until each bone is clean. Trim as much exterior fat and silver skin off the eye of meat as desired. Wow. Great tutorial. I can’t believe how clean and long those ribs look! Thanks for visiting our blog. We apprecaite it. 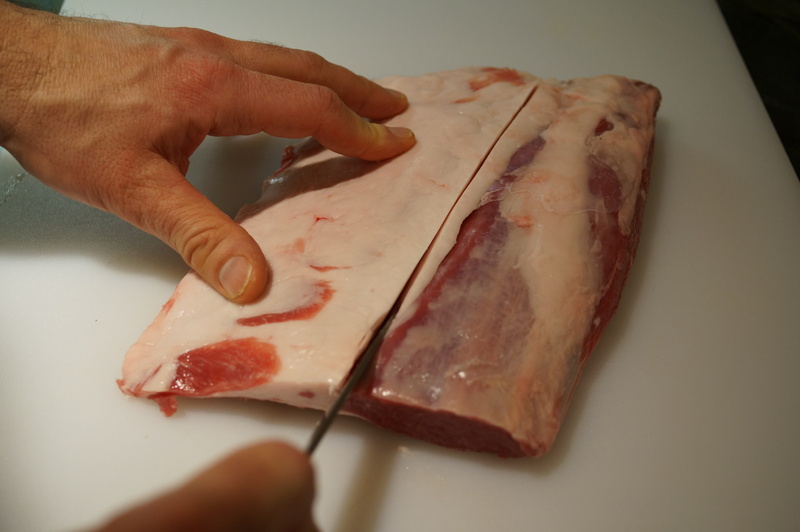 The french-cut technique works on Lamb, Pork, and beef. Give it a try! Is there an app on my wordpress where I can taste it too? Great Job and I am looking forward to reading more. Thanks for the kind words. We appreciate you visiting or blog! Than you so much for the kind words. We really appreciate your support.